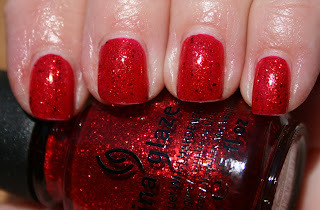 full-coverage, so I did a base coat with Poinsettia, which is gorgeous on it's own. Very pretty! This would be a good color to wear to a holiday party.